Custom window films. Bespoke wall Stickers. Design it yourself. Apply it yourself. Design your own unique film within minutes. 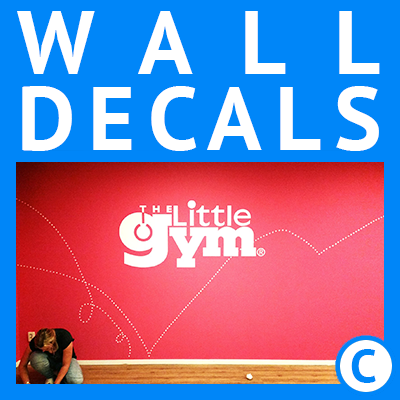 Within minutes you will have the wall sticker or window film that perfectly fits your needs. With our online designer you can upload your own design and/or use our online texts and images to create your own unique design. Quick and Easy. For your home or business. Custom window films and wall stickers that fit perfectly with your taste, interior, architecture and/or corporate image. Choose and click on one of the images below to select the type of wall sticker or window film you require. 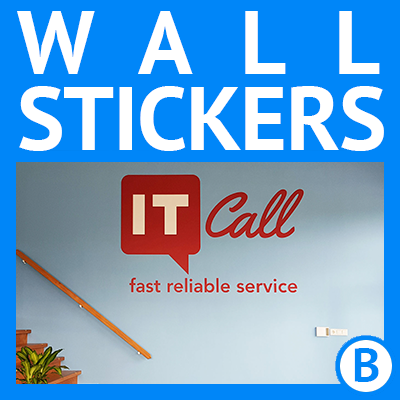 Custom wall stickers. Design it Yourself. APPLY it Yourself. We can supply you with 3 different types of bespoke wall stickers to perfectly fit with your business and/or personal needs. Bespoke window films. Design it Yourself. APPLY it Yourself. We can supply you with 8 different types of custom window film. See below. Frosted Window Film (1). Customize your own unique frosted window film (opaque, milklike, whitish). Design it yourself just like you want it. Enter the dimensions and you will directly see the price. Upload your own vector designs in .svg. Or use our online texts and designs. Everything is possible. Frosted window films (opaque, milklike, whitish) provide privacy and light. Start designing your own custom frosted window film here. Frosted Window Film (Printed) (2). Design it yourself just like you want it. Enter the dimensions and you will directly see the price. Upload your own images and designs and/or use our online texts and designs. Everything is possible. Printed frosted window films provide you with privacy, colourful images and light. Start designing your own unique frosted window film with print here. Just read the instructions and watch the video. Design it yourself. Apply it yourself. Enter the dimensions of your transparent window film and you will directly see the price. Upload your own designs and/or images. Or use ours. Everything is possible. With a transparent window film, objects on the other-side of the window film remain visible. Quick and easily design your own unique transparent window film here. Just read the instructions and watch the video below the online designer. Window Cling (4). Design your own unique window cling and apply it yourself. Your design can be printed on both transparant and/or white window cling. Cut to any size and shape. Enter the dimensions in our online designer and you will directly see the price. Upload your own finished designs, or use our online designer. Everything is possible. Start designing your own custom window cling right here, or send us your finished designs by email. Window decals (5). Design your own custom window decals and apply them yourself. Enter the dimensions and you will directly see the price. Everything is possible. Use or online designer to create your own custom window decals. Or just email us your own designs. Start designing your own unique window decals, right here. Just read the instructions and watch the video about how to design bespoke window decals. Or just send us your designs and dimensions by email. Unique window stickers. Design it yourself. Apply it yourself. Enter the dimensions of your window stickers and you will directly see the price. Upload your own designs and/or images. Or use ours. Everything is possible. Window stickers do block light but are highly visible. Quick and easily design your own unique window stickers, right here. Just read the instructions and watch the video below the online designer. Or just use the contact form to send us your designs and wishes. One-way vision window film (7). Design your own bespoke one-way vision film and apply it yourself. One-way vision film (a perforated white film with black back) gives you a bit of privacy during the day. And blocks about 50% of the incoming light. Enter the dimensions in our online designer and you will directly see the price. Upload your own finished designs, or use our online designer. And your design will be printed on your custom one-way vision window film. Everything is possible. Start designing your own personalised one-way vision window film right here, or send us your finished designs by email. Two way vision window film (8). Design your own bespoke perforated frosted window film and apply it yourself. Enter the dimensions and you will directly see the price. Everything is possible. 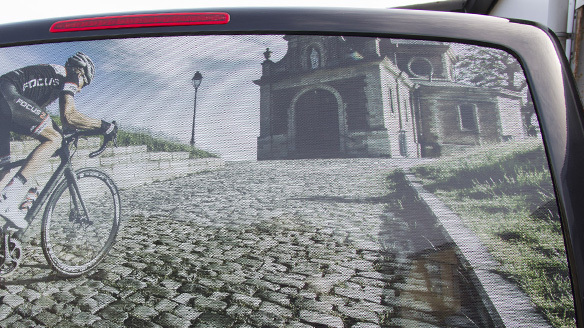 Use or online designer to create your own custom two-way vision window films. Or just email us your own personalised designs. 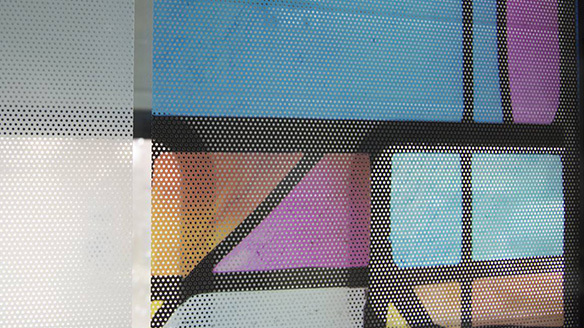 Start designing your own unique perforated window films, right here. Just read the instructions and watch the video about how to design bespoke two-way vision window films. Or just send us your designs and dimensions by email. Personalised window films for both at home and the office. Custom stained glass window films that perfectly fit the size of your double glazing windows in the style that perfectly fits the architecture. Or unique frosted window films for the office to provide privacy, light and those beautiful cut out corporate logo’s. Custom window films. Design it yourself. Apply it yourself. Need personalised cut out frosted window film for the front door with house number (door number) and the name of your family. No problem. Need a frosted window film with an art deco design for those French doors or for those shower doors in the bathroom. No problem. Quickly and easily design it yourself with our online designer and/or upload your own designs. 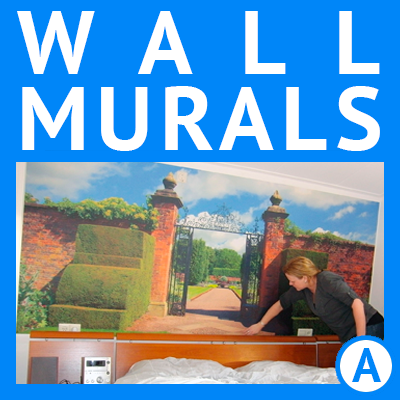 Need custom wall stickers for the nursery or the children’s bedrooms we ship directly to your home. You need unique frosted window films with a food theme for the kitchen. No problem. Watch our informative instructional video’s and you are ready to … apply it yourself. Large custom wall stickers for a trade show exposition? No problem. Wall stickers for those seasonal events in your shop or restaurant. No problem. A white window decal for your business/shop/restaurant with opening times, leaves, birds, squares and/or a logo. No problem. Your custom window films will arrive pre assembled in a sturdy box. So why don’t you ….. Design it Yourself and Apply it yourself. We use only professional high quality vinyl to manufacture your bespoke/custom window films. Using high quality vinyl will make for easy application (and removal, if you so desire in 20 years time). We are a family run business with over 40 years experience in the design and application of window films and wall stickers. We ship your window films within days of your order. We ship worldwide. Frosted window film cut to size. In every imaginable shape. Small, large, one copy or a hundred. Design it yourself online with our online designer. Upload your own design (as a white .svg file) or use our online design software to quickly and easily design our own unique frosted window film, for your house and/or business. Design it yourself. Apply it yourself. Printed frosted window film in any colour, shape or size. So it perfectly fits your needs. In every imaginable shape. Small, large, one copy or a hundred. Everything is possible. For at home or your business. Design your own unique frosted window film and apply it yourself. Upload your own design. Or use our texts and images to design your custom window films. Transparent window film in any colour, shape or size. So it perfectly fits your needs. In every imaginable shape and size. Small, large, one copy or a hundred. Everything is possible. Design your own unique transparent window film quick and easy with our online design software. Upload your own designs and images or use ours. For all your personal and business window film needs. Design it yourself. Apply it yourself. Window cling in any colour, shape or size. So it perfectly fits your needs. In every imaginable shape. Small, large, one copy or a hundred. Everything is possible. For at home or your business. Design your own unique/custom/bespoke window cling and apply it yourself. Upload your own design and/or images. Or use our texts and images to design your custom window films/clings. Window Decals in every imaginable shape. Small, large, one copy or a hundred. Design it yourself online quick and easy with our online designer. Or upload your own design in the contact form and tell us your needs. Your custom/bespoke/unique window decals, for your house and/or business. Design it yourself. Apply it yourself. Quick and easy. Custom window stickers in any colour, cut-to-shape and cut-to-size. So our bespoke window stickers perfectly fits your needs. Small, large, one copy or a hundred. Everything is possible. For in or around the home or at your business. Design your own unique window stickers and apply it yourself. Upload your own design and/or images. Or use our online designer to design your own custom window films. Bespoke Window Stickers. Design it Yourself. Apply it Yourself. Custom one-way vision film (perforated window film) with your own unique design/image. Cut to size, cut to shape. Everything is possible. Design your own bespoke one-way vision window film (with logo, name and/or image) quick and easy with our online designer. 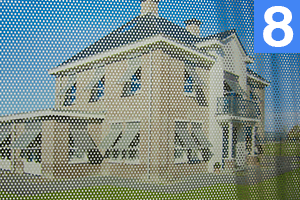 Unique perforated DIY window film that gives privacy. Due to the high quality and bubble free characteristics of our films, it is easy to apply yourself. Custom perforated window film. Design it yourself. Apply it yourself. 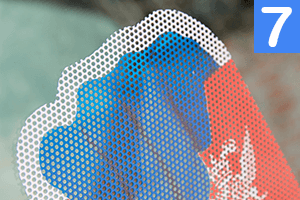 Quick and easily design your own perforated frosted window film, with our online designer. Due to the high quality and bubble free characteristics of our films, it is easy to apply yourself. Your unique perforated film can be cut-to-size and easy to apply. Unique perforated window film to perfectly fit your windows and business/personal needs. Bespoke perforated frosted window film. Apply it Yourself. We can supply you with a wide variety of made to measure window films and wall stickers. We have over 150 different types of material available. We can supply you with a cut to size window film that fits your every need. Cut to the size and shape you specify. In the exact colour that you require. Small, large, one or a thousand units. Everything is possible. High quality solutions for all your window film and wall sticker needs! Extremely satisfied. Pleasantly surprised by the end result. Application was very easy. Very happy with the professional looking results. E-mailed them my design. Got a price quote within the hour. 3 days later the package arrived. Extremely satisfied. Delivered in a timely manner in a sturdy box. Easy to apply. Thanks girls, very happy.